It was one of those unexpected days, hiking deep in the backcountry, just me and my pup Lu. I had kind of run away from home for three months because I was going through a major life change and needed to clear my head. Big-Lu was turning 13 and a lot of her friends had recently passed on. This three month adventure was really for her too. She was beginning to slow down and I thought it would be great to see how much we could do together. We did a lot: We swam in as many sierra lakes as possible, ate fresh trout, climbed to the top of every peaks we could. We were just free in the mountains. It really was a magical time. Let me rewind by telling you in the mist of this crisis I purchased a vintage travel trailer (1960 Oasis) It was love at first sight. I spent 2 months bring her back to life even naming her Château Bijou. (Tiny Castle) And a castle she was! Chateau Bijou was our home base in the Sierra’s. We would spend a few night resting eating and relaxing, then head out with our packs deep into the woods. Lu and I were hiking up to one of the famed tout lakes in the Easter Sierras. The day was perfect; temperatures in the mid range, neither hot or cold. It was the year we got unusually heavy snowfall. So even at lower elevations the ground was covered in snow. I was following my map to the lake and keeping our bearings North west, trying to stay in the right direction as we made first tracks. I always love the crunching sound of the snow under my feet. Lu loves it just as much, I watched her jump and run and roll around in the snow as we made our way upward. She always makes me laugh, “God I love her!" I thought to myself. 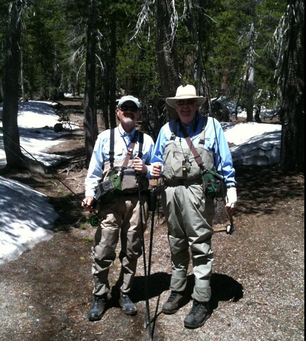 When we were what seemed to be in the middle of nowhere, two fully decked out trout fisherman simply appeared. They both had full waders with suspenders, carrying their polls, and draped across their chest were baskets filled with Cut-throat tout. I smiled at the sight of them and Lu run up to them with great curiosity, tail a wagging. I burst out laughing as we struck up a conversation. They began telling me about some amazing things I needed to see while on my crazy runaway trip. Needless to say, Lu and I saw it all. (smile) I also have to confess I never remember jokes, but by gosh, this joke is the one always on my mind and ready in a moment. 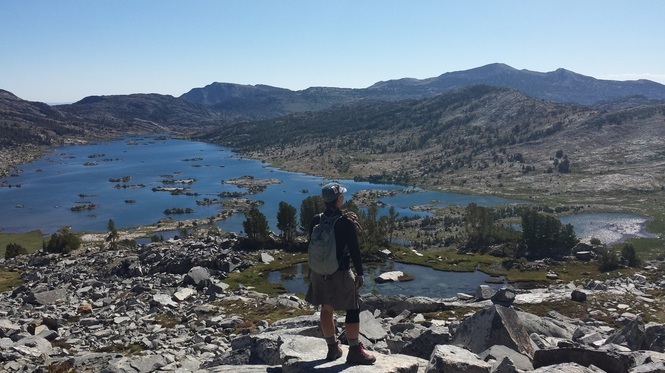 One of the amazing women in my life recently headed out on a 300+ mile portion of the PCT. This was her fist time hitting so many miles solo. I was beyond excited for what she was about to experience. It allowed me to reflect on my own solo journeys. Before she left I sent her a note to whisper a few things in her ear. 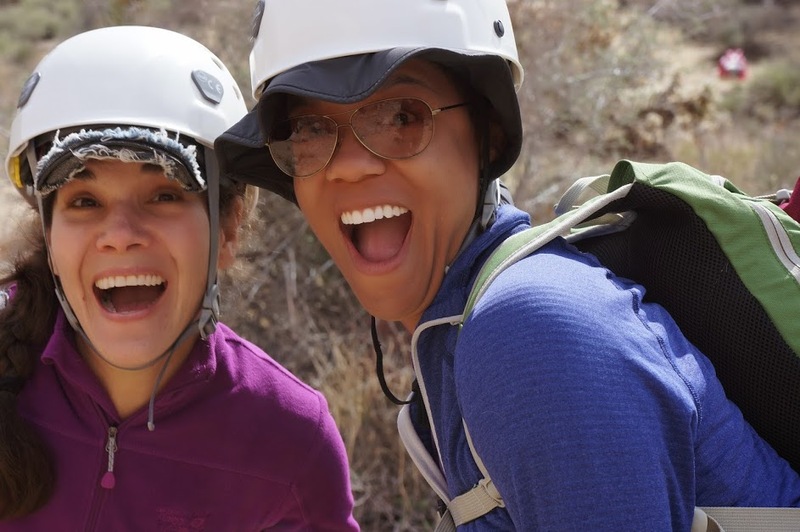 I wanted to share them with you too because I think that these are such important things to remember as women on the trail! ... This is going to be the adventure of a lifetime! Take your time to breath it all in. ... Stop often and notice the small details. ... Remember to smile when it gets tough. That smile will keep you going. ... Bears are a big myth! (Laughing) Not entirely, but sleep soundly. ... For every pass you go over. Take your time. Enjoy that 360 view. ... Sometimes you may be fighting intense weather, this is where the true adventure begins! ... Don't worry, everything is always amazing no matter how tough it might get. ... There are going to be days that are hard, I mean truly hard. But when you least expect it, the trial will lift you up in a way you did not know possible. ... Cry! It will feel amazing! The best tears you will ever have will be when you are deep into an adventure like this one. ... Be naked as much as possible! ... you may not be looking for any, but you will find answers! I just recently added my ﻿Top 10 list of things to remember when planning for your first thru hike﻿. They can be found in Trail Tips & Thru-Hiking. This past Sunday (March 8, 2015) was International Women's Day. All week long great articles on all things "awesome" have been posted. I've enjoyed reading every word! It has also prompted me to think a lot about myself, my journey, and the joys of living. I mean truly living! I've always just been present and lived in the moment. Even as a young girl it just seemed so simple. I never thought about yesterday or tomorrow but of just where I was, in the now. I always just knew what I wanted and went after it. I never thought of the "what ifs". I just set a goal and moved towards it, quickly, precisely and without consequence. And you know what? It always seemed to work. As an adult I still live by that same philosophy. Just go for it! Don't over think it, just set a date and go! By nature the things I do: Backpacking, hiking, Mountaineering, Snowboarding, Surfing, skateboarding, Mt. biking (the list goes on) have all kept me completely present. Or "On it" as I like to put it. As a mentor and founder of a nonprofit that works with young women, I am regularly reminded of just how easy it is to have our own internal dialog keep us down, afraid or just doubtful of what can be accomplished. To all those doubtful moments we all have, remember, never loose that dream! It is our dreams that drive us, keep us alive, keeps us going, makes life real! I have always felt blessed. Not because my challenges haven't been real. Some have been incredibly overwhelming and took everything I had to make it through. But in all the hard times, I had my dreams, my passions, and the drive to always find something precious no matter the moment. I was recently asked to give a presentation for the Sierra Club Wilderness Travel Course, on my winter summit of Mt. Whitney climbing the mountaineers route. Mt. Whitney is the tallest peak in the 48 states. Standing a glorious 14,505'. While it had been a few years since this adventure, I was reminded of so much going through my slides and presenting. Reliving this experience reminded how important trip prep and planning are. Anyone of my big challenges really does require spreadsheets and logistics and trip planning to the tiniest detail. Even more so when on the mountain, having a plan in all instances is critical to success. Knowing and trusting the other climbers on your team is a must. Knowing the safety precautions, how to self arrest, and the use of your gear is key. I am always one for the big adventure But doing it smartly is beyond important. I encourage friends to take that challenge. To live, because for me life is about the adventure! Trail magic is real! Never doubt the kindness of strangers. While I have spent time thru hiking and have felt the trail love, this New Years Weeks was pretty darn perfect! 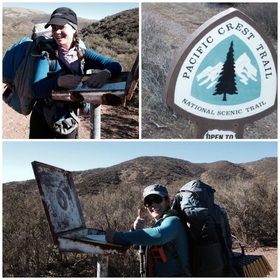 My friend, Shawnte, and I decided to spend five days along the PCT starting on new years eve day. From the get go our energy was perfectly paired, and our excitement equally matched. With all the recent news of Casey Nocket and the graffiti she placed in our national parks, I thought it appropriate to talk about the Golden Rule: Leave No Trace. Leave no trace refers to a set of outdoor ethics promoting conservation in the outdoors. It is built on seven principles: Plan ahead and prepare, travel and camp on durable surfaces, dispose of waste properly, leave what you find, minimize campfire impacts, respect wildlife, and be considerate of other visitors. 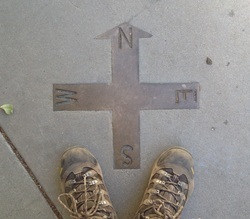 There is a great Leave No Trace organization that helps to educate on the LNT ideas. You can also check out their Facebook page. We are blessed to be apart of a generation that has had land set aside for us to enjoy. The impact we make effects future generation and how they can enjoy the beauty as it is today. It is all of our responsibility to abide by the golden Leave no trace rule. Having been to some of the most remote place in the world and seeing seemingly untouched land I can't imagine the impact of careless people there. Please remember to help do your part when out enjoying the wilderness. This land is our land and the land of future generations. For me nature is my home. I will always be so grateful to the wilderness act for keeping the land as it was; For allowing me to explore, discover and be. My spirit is full because of these experiences. You can learn more about wilderness and find 50th anniversary celebration events near you by visiting www.wilderness50th.org. We all know the importance of carrying our 10 essentials. But my 11th essential would be to wear a smile! When you are smiling you are having a great time. Staying positive and in the best mindset! I am always wearing a smile the size of Texas when I am doing what I love most. Replacing boots that you have had such a love affair with is always hard. 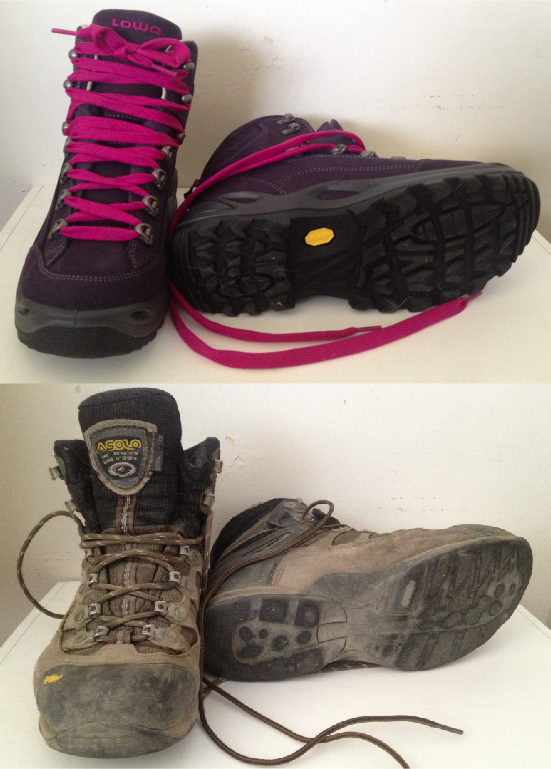 I have hung onto my trusted Asolo's as long as I could. But with nearly no tread left, it was time. While they will no longer be worn, they will go into a box with my hiking journal and mileage log, so in the future years I can one day open up that box and read with a fresh set of eyes the adventure they (we) had.